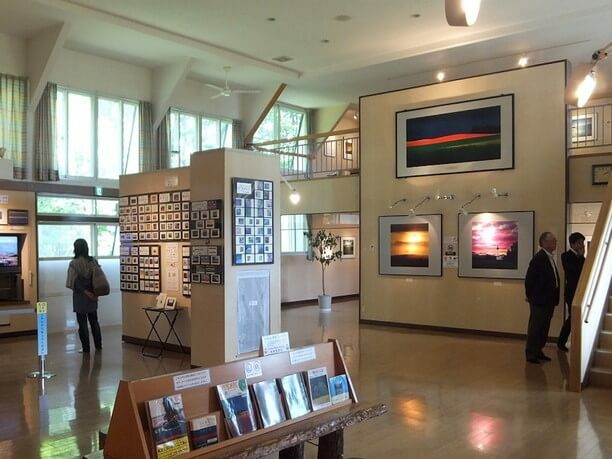 Approximately 6.5 miles from JR Biei Station through the southeast panorama road, is the personal gallery “Takuma-kan established by the world-famous photographer Mr. Shinzo Maeda(前田真三). 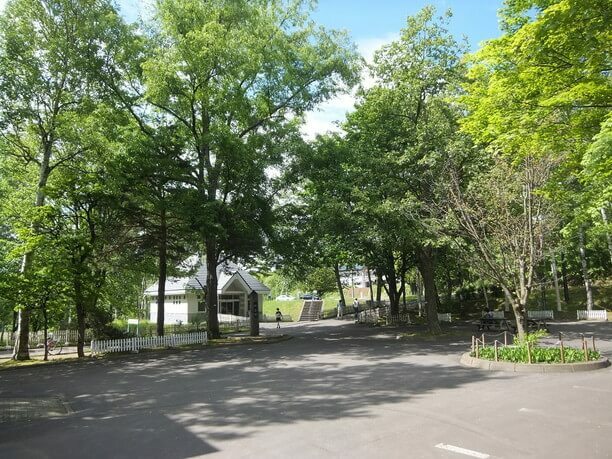 It was opened in July 1987, using the site of the elementary school which was discontinued. 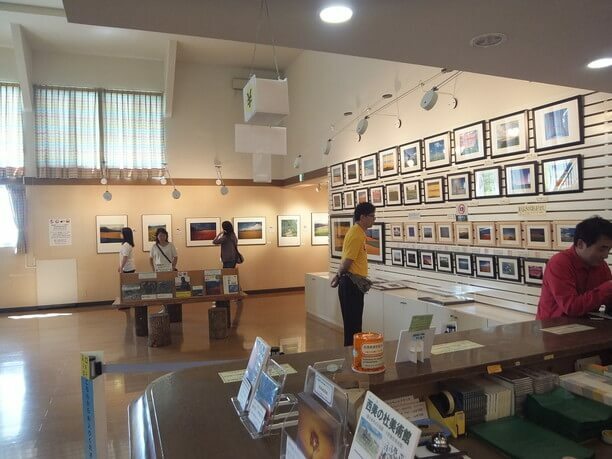 Mr. Maeda said that he was shocked by the beauty of Biei’s hill and said, “the thought of this hill makes me feel good.” They display a lot of works of the hills he called his life’s work. 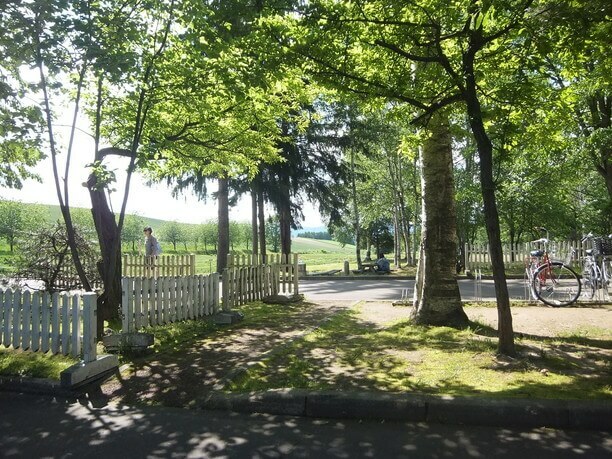 Mr. Maeda first encountered the hill of Biei in 1971. There was not another photographer as fascinated by the scenery of the hill but now Biei has become a major tourist destination. Shinzo Maeda’s work is brilliant! When entering Takuma-kan you take off his shoes and enter. Mr. Maeda’s masterpiece “Bakushu senretsu” is displayed in front of the main hall through the corridor polished to a shiny glaze. It is a work that photographed the farmland of the hill near the Takuma-kan in mid-July 1977. The intense red color of Takune wheat, which is commonly called reddish, stands out among the “brilliant varieties of the barley,” It creates a striking impact on the viewer’s eyes. It is a work that caught the moment when rain washed away the dust and the light attached to the crop and the color became vivid and skewed. A space where you can enjoy the scenery of Biei any season! A number of Mr. Maeda works makes you wonder if there is really such colors in ordinary wheat, potato, and beet fields. Mr. Maeda pursued nature’s beauty created as a result of the morning sun and the setting sun. 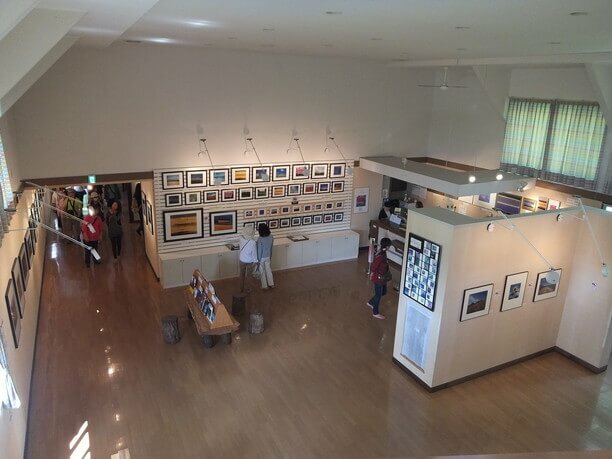 Although the works exhibited at Takuma-kan are exhibited irregularly, there is scenery of every season displayed. You can enjoy the scenery regardless of the season. Photographing is prohibited inside the hall. 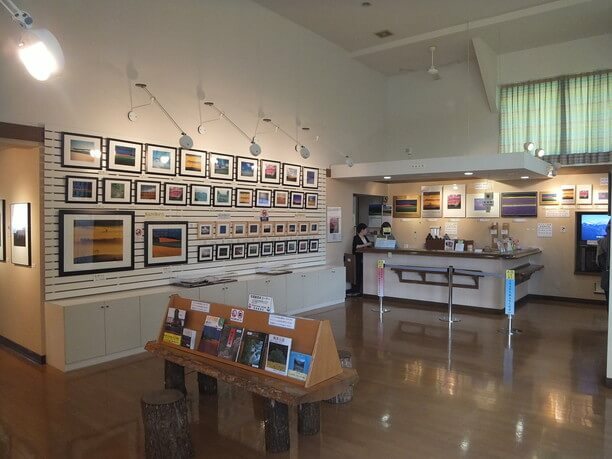 After you see the work of Mr. Maeda in the gallery you can see the place you saw in the picture when you look over the patchwork road and the panorama road? The path surrounded by white birch trees create a beautiful walking road! 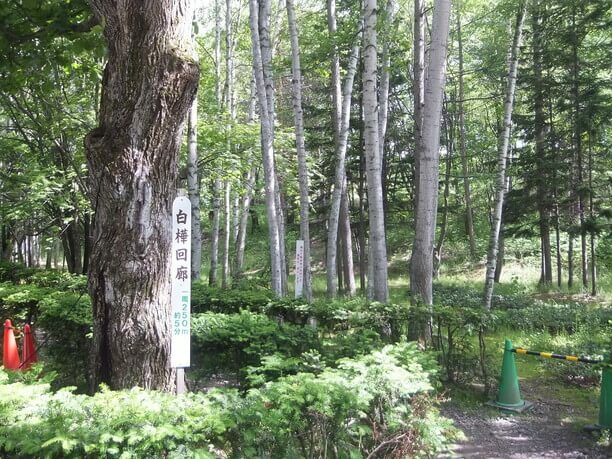 Next to the Takuma-kan there is a birch corridor which Mr. Maeda maintained. It has a total length of about 250 meters. There is a walking path which you can walk for about 5 minutes that was made in 1988, with the planting of 2,300 birch trees. Wildflowers bloom along the walking path that heals the visitors. The birch tree stand acts as a natural filter and creates a popular spot where many people shoot photos with soft sunlight in the background. In the summer, the lavender field next to the pavilion also draws a beautiful contrast, arousing the creative motivation of the visiting photographer. The effect that Shinzo Maeda has had on the popularity of the hills of Biei is incalculable. 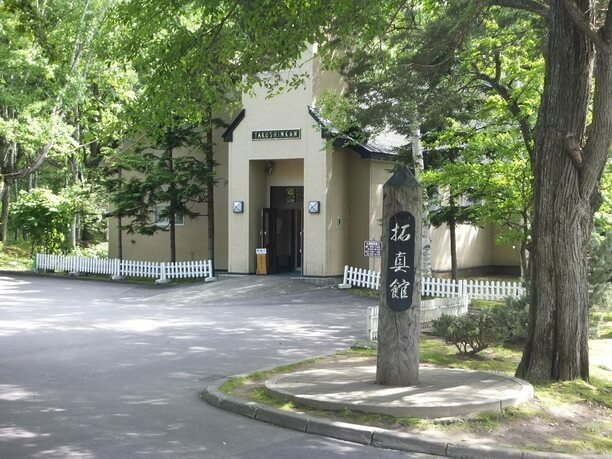 Takuma-kan boasts more than 200,000 visitors per year, and has become a tourist route for Biei that has remained constantly busy even after his death. From Biei station heading south-east on Route 966, turn right at the bus stop "Line 13." The route from Mizusawa Dam to Takumi-kan is easy to understand. 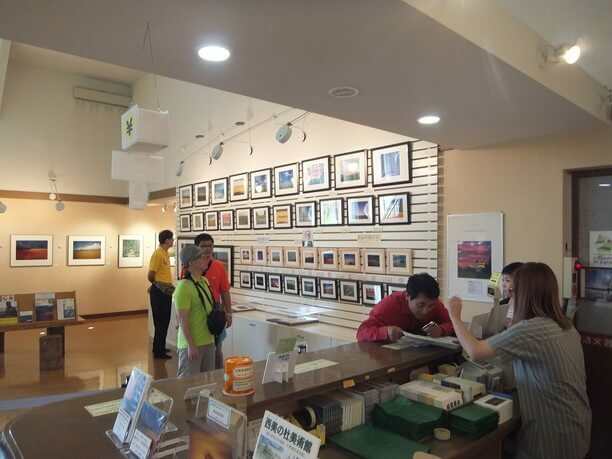 There is also a section selling works, postcards, photo collections etc at Takuma-kan. Female staff will explain the details of how the work was created. It is only at Takuma-kan where you can see the works of Mr. Maeda seen in commercials, posters, etc. Because his work has been used for so many things, as you walk around the hill you may get the sense that you have seen these places before. 9:00 a.m. – 5:00 p.m. (May - October) From November 10;00 a.m. – 4:00 p.m. The hillside town of Biei offers a 365-degree panoramic view! Panorama road of Biei town offers a superb view! Biei blue pond is a cobalt blue fantasy world that is worth visiting! Peacepiece is a retro cafe along Hachimanzaka hill! How to smoothly pass through the security checkpoint at the Airport! Motion sickness, “the archenemy of your trip!” (Things you can do not to get sick). Copyright © 2015 J-TRIP Co,Ltd. All Rights Reserved.